Peloton’s newest piece of fitness equipment, the Tread, has had a lot of people, including me researching treadmills. Should You Buy the Tread? For those of you who have pre-ordered the Tread, I’m sure you won’t be disappointed. While on vacation, I took some of the Tread classes using a hotel treadmill. I’ve never enjoyed running as much as I did that week. Peloton does it right. Their classes are effective, motivating, and fun. I especially loved the Fun Runs. But . . . this treadmill is HUGE, with a 67-inch rubber track. While this appeals to many, not everyone has the room for something so large, especially if they already have a Peloton. Then, there’s the price. For the treadmill alone, you’ll spend $3,995. There’s also the monthly subscription, however, if you’re a Peloton bike owner or app rider, you already have access to the classes. Otherwise, it’s $39 per month. Remember, Peloton is first and foremost, a technology company. The company, active on social media, listens to its users’ wants and needs. Over the last year, riders regularly wake up to software updates on their bikes (the latest being closed captioning). 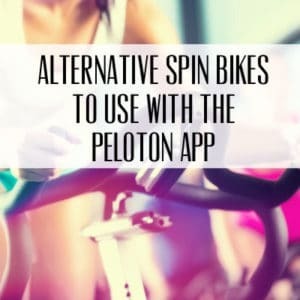 Peloton also does not ignore its app riders. They know that many people opt to use their own spin bikes with the app. It may come as a surprise, but many choose bikes that cost as much, if not more than the Peloton Cycle. App riders can now follow other riders (although there’s still no leaderboard) and search for classes by music type and instructor. The point is Peloton gives you a great experience whether you are using their manufactured equipment or not. Do you have a treadmill at home gathering dust? Now’s the time to try out the Tread classes. Remember, if you decide to use your own treadmill, you can still access all of their classes (cycling, runs, walks, core, and yoga) via the app. These classes are also available to those who use the app with a regular spin bike. Using the Peloton app with a regular spin bike requires lots of add-ons. But, using the Peloton app with a treadmill requires just a treadmill. That’s it. And maybe a heart rate monitor. 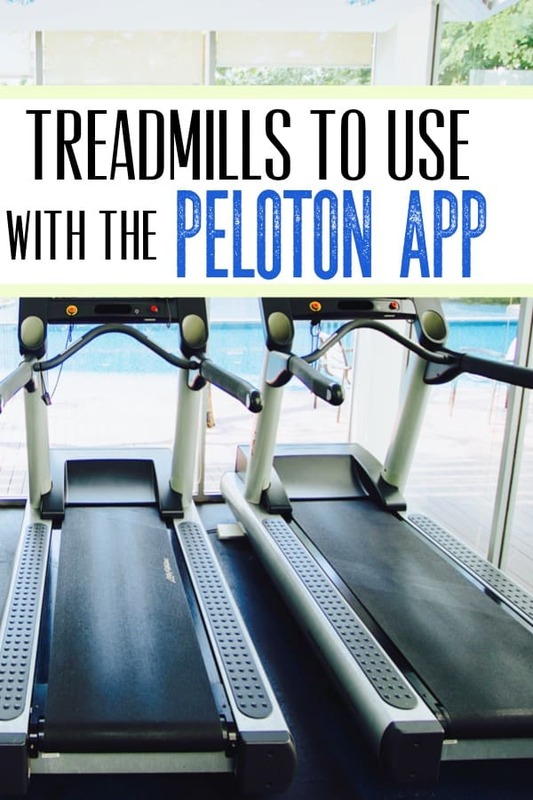 Most of you will probably want to utilize the Peloton classes for your runs but realize that many of these treadmills come with their own fitness programs. I created this list based upon Amazon and other online user reviews, bestseller lists, and crowdsourcing. I eliminated those with short tracks or limited inclines, as well as those that can’t handle intense workouts. Always double check the prices on Amazon. These are ranked from least expensive to most, at time of writing. Of course, if you belong to a gym, you can always try out a treadmill there. But, if you’re looking to build up your home gym, here are some alternatives to the Tread. An entry-level treadmill with an incline up to 10 percent and speeds up to 10 mph (vs. the Tread’s 15-percent incline and 12.5 mph). Unlike similarly priced treadmills, this one can accommodate more than just walkers. For those concerned with space, this treadmill folds and has a small running deck (20″ W x55″ L), coming in a foot shorter than the Tread. This may feel small to some. This treadmill inclines up to 15 percent, the same as the Tread, and nearly the same speed: 12 mph (vs. the Tread’s 12.5). It folds to save space and has a running deck of 20″ W x 60″ L. It has a limited warranty of only 10 years for the frame and 2 years on mechanical. Note, the weight capacity of 300 lbs. With a powerful motor (3.75 CHP) and thick 3-ply running mat, this treadmill measures 20″W x 60″L and folds to save room. Bowflex recently entered the treadmill market so there are few reviews but expect to see more soon. This treadmill inclines up to 15 percent and speeds up to 12 mph, with an easy power incline and decline with the touch of a button. It gives you a wider running belt (22″W x 60″L), with a cushioned run option that you can turn off, and easily folds. It has a cool feature where you can use Google Maps for a scenic run. Note, the weight capacity of 300 lbs. This treadmill also features a wider cushioned running belt of 22″W x 60″L, an incline up t0 15 percent and speeds up to 12 mph. It folds for storage. This company, known for its long-lasting products, gives you a 30-year warranty for the motor and lifetime warranty for the frame. It features quick keys to change incline and speed, up to 15 percent and 12 mph. The running deck measures 21″W x 60″L. Like the Peloton Tread, it does not fold. While this treadmill retails for around $6000, you can buy a certified refurbished one for half the price! You’ll find this treadmill in luxury gyms, hotels, and physical therapy centers. It comes with a lifetime warranty. It features a 4.0 CHP motor, a 15 percent incline and speeds up to 12 mph. It has a cushioned 4-ply belt (vs. the Tread’s 2-ply belt). With a running deck that rivals the Tread, the Landice L8, measures 22″x63″. This machine takes up even more room than the Tread, coming in at 83″L (vs. the Tread’s 72.5″) but with less height for those with lower ceilings, measuring 61″H (vs. the Tread’s 72″H). Some say a rowing machine is in the works. What do you think? To stay updated on the latest updates, be sure to sign up for our newsletter and follow me on Facebook. Check out my favorite home gym equipment in my Amazon shop.